The Ford B-MAX has finally made it to our shores. 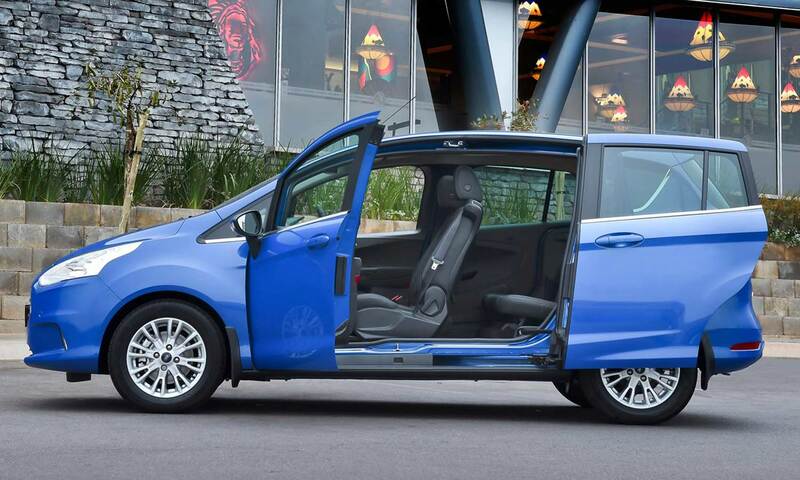 Based on Ford’s global B-car platform – shared with the Fiesta – the B-MAX is Ford’s idea of a premium compact multi-activity vehicle. So its a MAV not a MPV! Unobstructed entry and exit with hinged front and sliding rear doors integrates the traditional central pillar structure into the front and rear doors, rather than forming part of the bodyshell itself. The flexible seating system features 60/40 split rear seats that can be folded flat with a simple “one-hand, one-motion” mechanism. The front passenger seat can also be folded, creating an extensive flat load floor from front to rear. 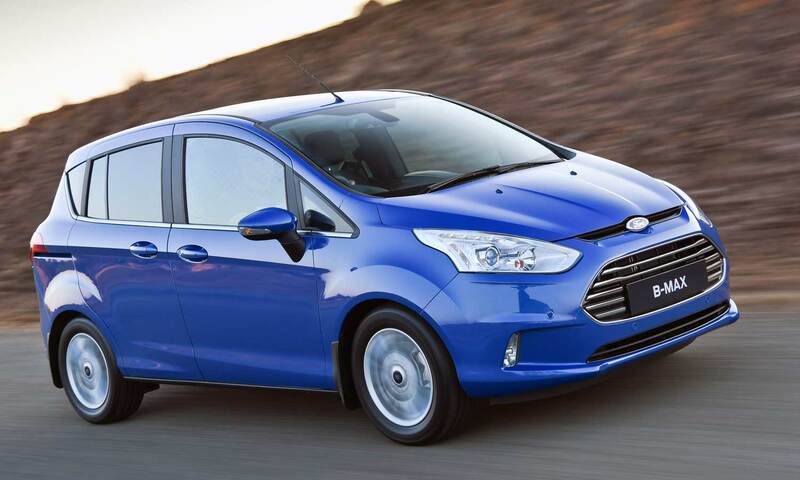 The entry-level B-MAX Ambiente 1.0-litre EcoBoost petrol engine produces 74kW while the mid-range Trend and range-topping Titanium derivatives boast a 92kW output. Both versions feature a peak torque of 170Nm. Combined cycle fuel consumption is rated as low as 4.9 l/100km (says Ford) matched to a CO2 emissions figure of 114 g/km for the 92kW models. Ford SYNC® voice control, device integration and connectivity interface. 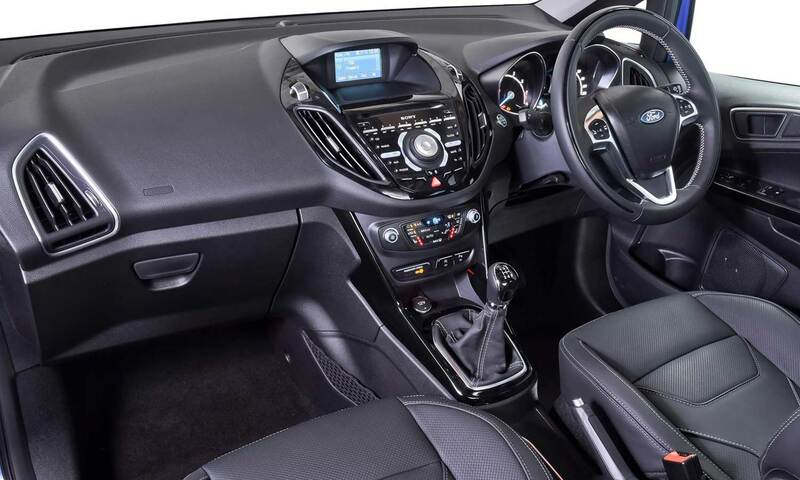 Equipment includes Sony audio system, keyless entry, Power Start Button, Ford MyKey® functionality, Rear View Camera and leather-trimmed upholstery on the range topping model. There are three trim levels. The B-MAX is sold with a 4-year/120 000km Comprehensive Warranty, 4-year/60 000km Service Plan, 3-year/unlimited km Roadside Assistance and 5-year/unlimited km Corrosion Warranty. Full road test to follow. 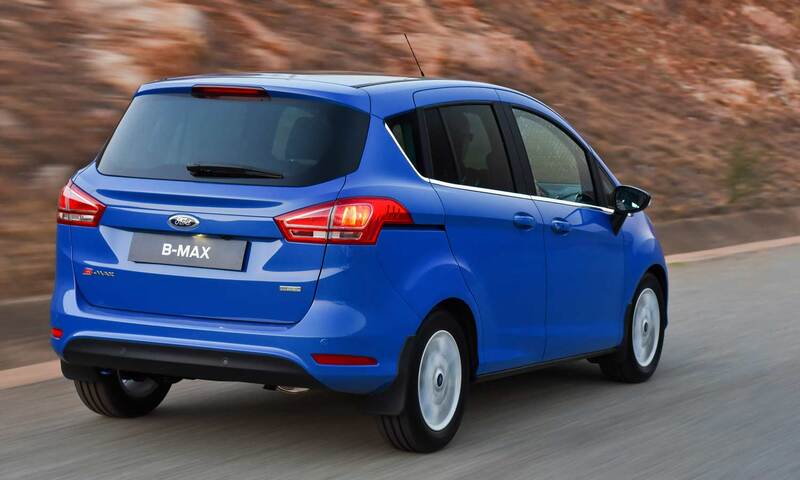 This entry was posted in News and tagged 2015, B-MAX, Ford, MPV, new. Bookmark the permalink.